Posted on: November 13, 2018 By: Christopher Brown, Esq. 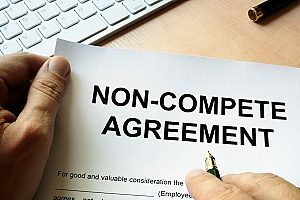 A non-compete agreement is a clause in a contract that states a party (usually an employee) agrees not to enter or start a similar profession or trade in competition against another party (usually the employer). An NCC is bound by traditional contract requirements and can, therefore, be held up in court. An employee non compete agreement can restrict an employee from pursuing other options beyond their current position. It is important to know your rights regarding a NCC. There are varying opinions regarding NCC’s, some argue in favor of them protecting businesses, and some argue that they hinder the career advancement of the employee’s. However, regardless of opinion, if you sign a non-compete clause in Virginia, you are subject to the consequences if you break the contract. What is considered “breaking” an NCC is not always cut and dry, so if you are worried about a potential violation, be sure to reach out to an Employment law attorney for more information about your potential case. In Virginia for a non-compete clause to be enforceable, the employer must be able to show that the restriction is no greater than is necessary to protect the employer’s legitimate business interest, the agreement is not excessively severe or oppressive in restricting the employee’s ability to find another job, and the promise does not violate a clear mandate of Virginia public policy. In the case of NCC’s, the burden of proof falls on the employer to show its validity. Court’s will assess whether the reasonable limitations in geography and time are legitimate or if the employer is overreaching with broad or ambiguous terms. If the court finds the NCC to be clear and reasonable, then it will uphold the NCC. Virginia also considers some information to be so crucial that it will almost always validate covenants prohibiting their disclosure by former employees. This information can include things like consumer lists, technological projects, exact market shares, and plans for market expansion. There are several ways you as an employee can challenge a non compete agreement. The first is showing that the scope of restriction is overbroad. This could include the clause stating that you cannot work in a geographical location that is beyond the locations in which you actually worked. Or it could include the time frame for which the limitations apply. For example, a ten-year restriction on working within a specific geographical location might be considered overbroad. The second way to challenge an NCC is to prove that your employer breached the contract. A court might refuse to enforce an NCC if you are able to prove that the employer breached the contract first but not fulfilling all of their contractual obligations. This could include things like not paying all compensation due for wages, bonuses, benefits, and unused but accrued vacation days. You may even be able to prove that your employer breached the implied terms of the contract. The third way is to prove your NCC is not valid is to show that your employer doesn’t have a legitimate business interest. For an employee non compete agreement to be valid, the employer must show they have a legitimate business interest over and above ordinary competition. These interests can include things like trade secrets, valuable confidential or professional information, substantial relationships with specific customers, specialized training, or goodwill associated with an ongoing business. You may be able to use this to challenge your non-compete by proving you signed the non-compete as a part of the standard procedure and there was no legitimate business interest, or by proving that the information you “leaked” was public knowledge. The fourth way is to prove that the employer has unclean hands. 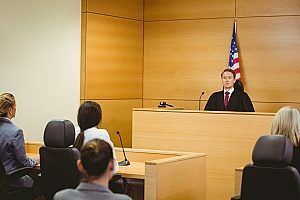 A court is unlikely to favor an employer who has participated in unjust or unlawful conduct that is connected to the litigation. This could include things like them ordering an employee to engage in illegal or fraudulent acts, or by unlawful discrimination or retaliation against you. This way of avoiding a non-compete lawsuit could actually keep you from going to court, as an employer is unlikely to want it to come out that they’ve been engaging in illegal business acts. It is also possible to avoid a non-compete lawsuit if you are able to prove that you were part of a mass layoff or that you were wrongfully terminated. This could cause your employee non compete agreement to be considered null and void. Contact an employment law attorney for more information about non-compete agreements and to schedule a consultation regarding your specific case.